Dyes will be shipped via Federal Express Ground in the United States only. To obtain wholesale pricing you must first submit a Wholesale Account Application with supporting documents and be approved. Dye orders may be combined with silkscreen orders to obtain the required minimums for wholesale pricing. 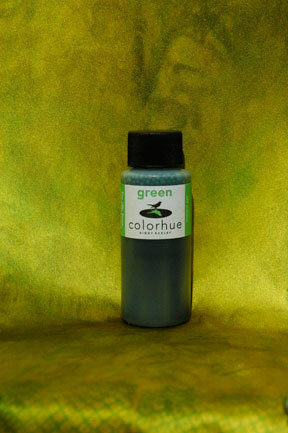 COLORHUE is a very concentrated dye  approximately 15 to 20 drops of the concentrated dye in a 1/2 cup water will make medium color. To see all of the available colors, please scroll to the bottom of this page. 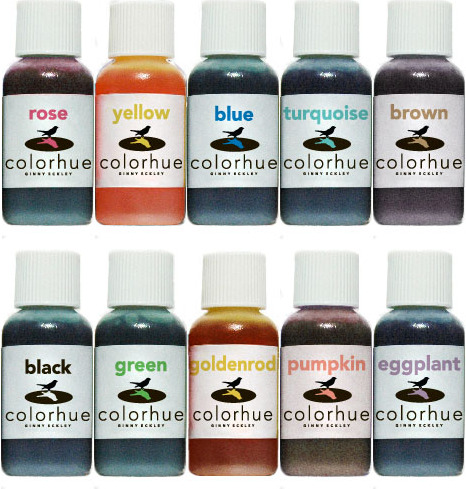 Purchase the color(s) you need in the quantity you want. An instruction sheet will be sent upon request. 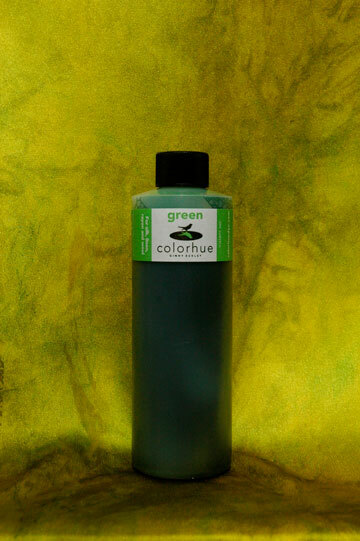 If you do a lot of dyeing or find there are some colors you use a lot more than others, you may want to order this larger bottle.